Material: Organza. Size: Approx:9cm x 12cm. Reasonable wholesale price. 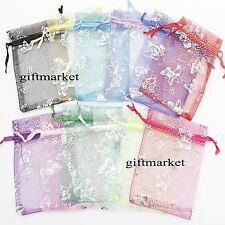 100% New Material:Transparent hard yarn Color:Mixed Size:Approx:9cm x 12cm Part No. 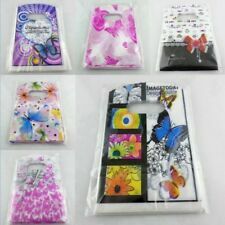 :B06399 Package Content:100 x Gift Bags Note: Light shooting and different displays may cause the color of the item in the picture a little different from the real thing. The measurement allowed error is /- 1-3cm. Brand Unbranded MPN Does not apply UPC 191466364840 EAN 191466364840 ISBN 191466364840 Designer/Brand Unbranded Manufacturer Part Number Does not apply. 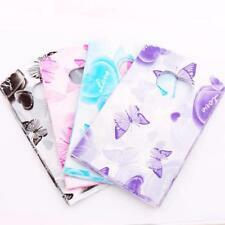 Designed with Butterfly Pattern. 12 Pieces Candy Boxes. - Every set includes 12 Pieces boxes. (Other countries or remote areas may take longer.). Rate(Item Arrived). 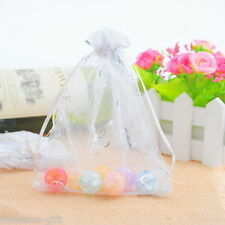 Material: Organza. Quantity: 50 PCs. Condition : 100% New. Reasonable wholesale price. Material : Organza. Beads Wholesale. Reasonable wholesale price. Color :White. Material: Organza. Quantity: 250 PCs. Color: White. Reasonable wholesale price.